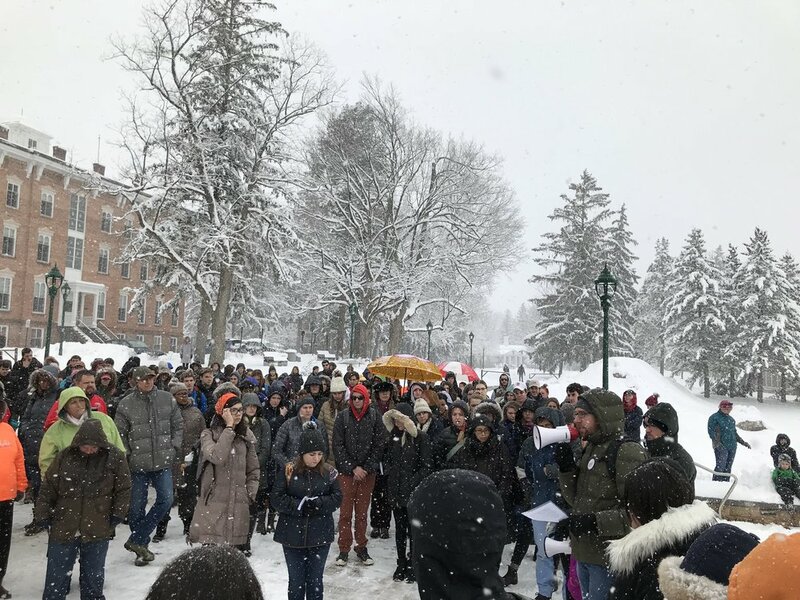 At 10:00 a.m. on March 14th, St. Lawrence University students, faculty, and staff gathered on the university’s Quad as part of the national school walkout against gun violence in schools. 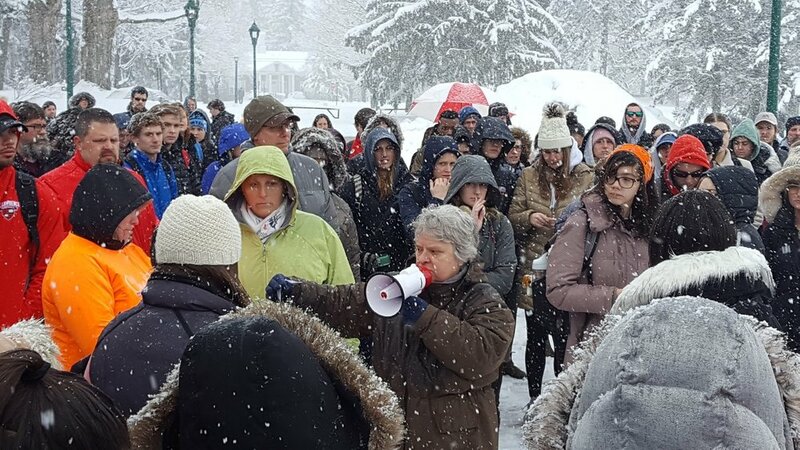 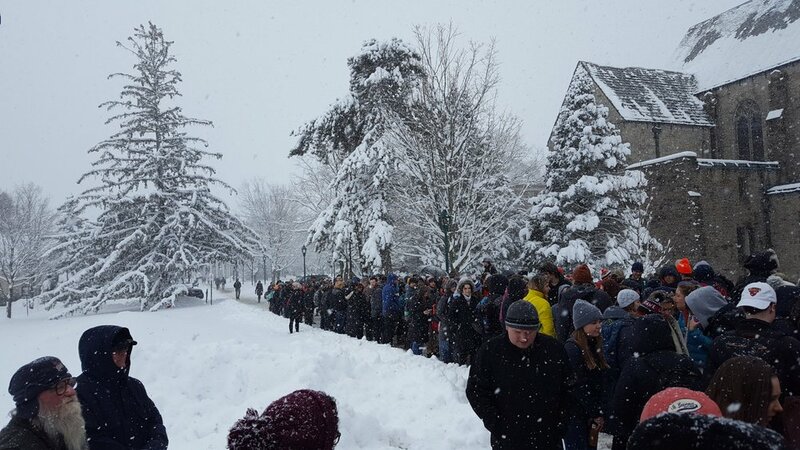 More than 200 community members gathered despite heavy snowfall in a show of solidarity with students across the nation standing up against the epidemic of shootings in America’s schools. 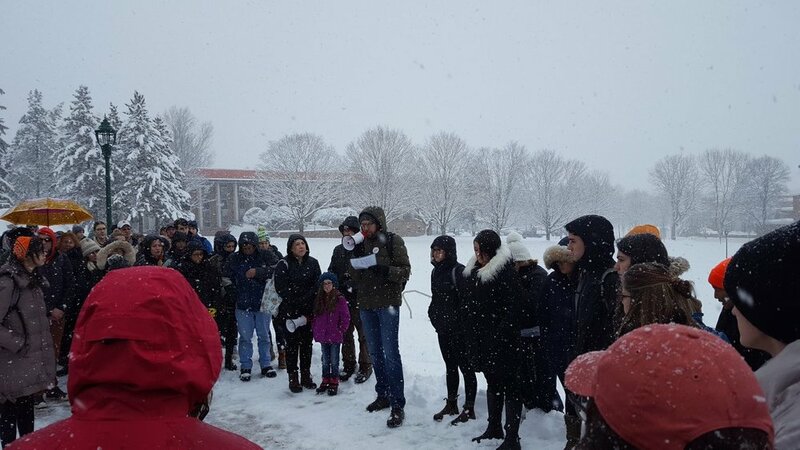 The 17-minute event, in memory of the 17 individuals lost in the Feb. 14 mass shooting in Parkland, Florida, began with speeches by SLU student Courtney Bliss and Associate Professor of Government Christopher Buck. 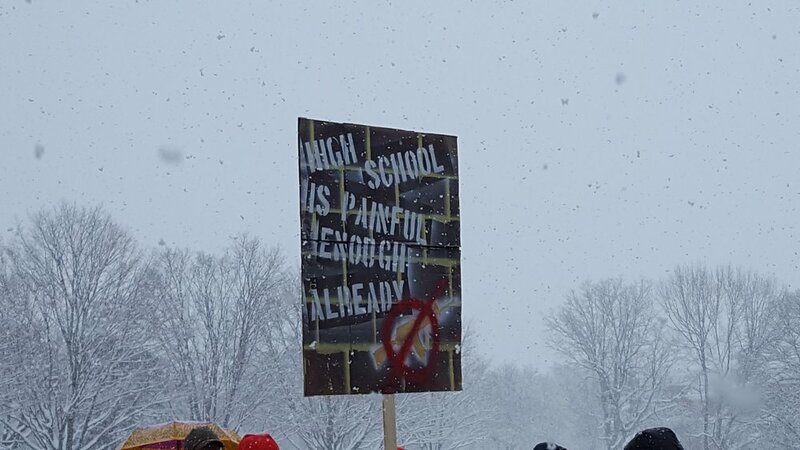 Bliss, an education major and aspiring future teacher, spoke to her experiences with gun violence in schools as a resident of Connecticut who experienced the lockdown during and impact resulting from the shooting at Sandy Hook elementary. 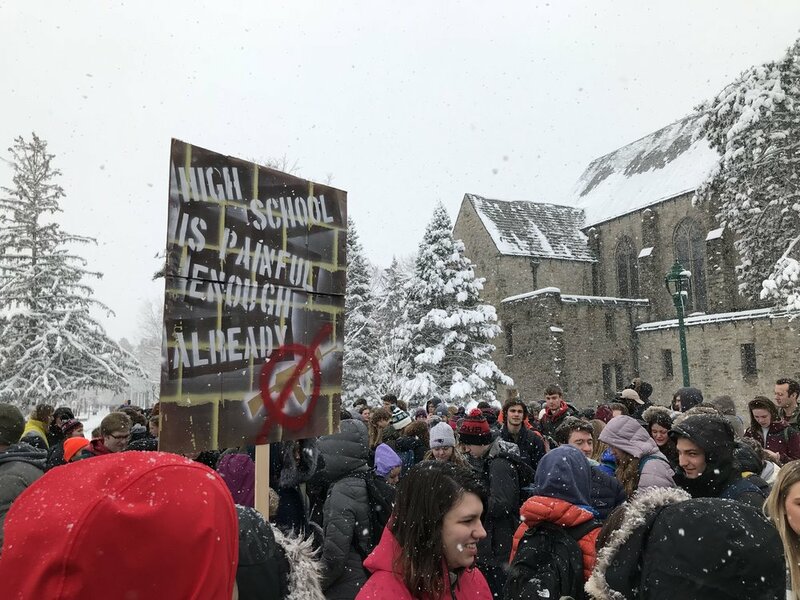 From there, students took turns reading allowed the names, ages, and schools of past victims of school shootings ranging from Columbine to Parkland. 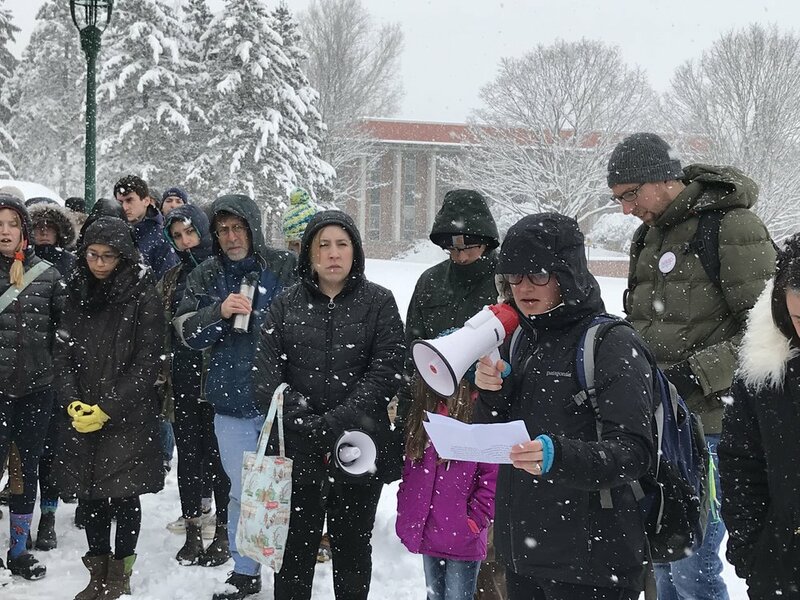 A moment of silence was held in memorial of these fallen students and faculty members before announcing a meeting of concerned students and faculty on April 2nd to discuss potential courses of action to be taken in response to this grave issue. 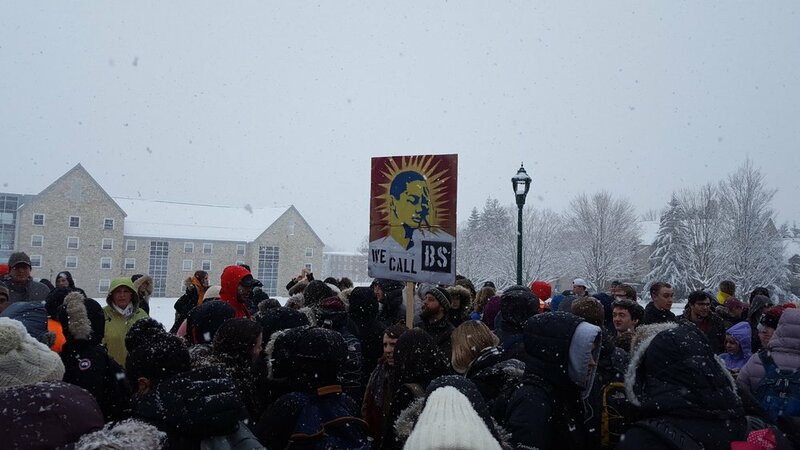 Weave News, which provided a livestream of the event via its Facebook page, was honored to play the role that it did in helping organize this walkout.